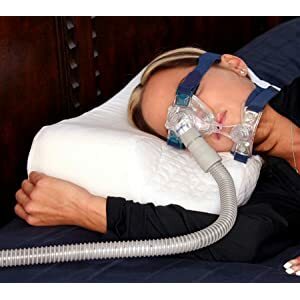 JacoSZ,(time=1305041739) Wrote: But there are a LARGE fraternity of people out there that sell themselves as sleep therapists, who in actual fact know less of the problem than the average CPAP user. There are a lot of people out there with real MD degrees, residency, years of clinical experience in sleep disorders, specialist training, etc. who don't know much about making CPAP work. Unfortunately, the "average" CPAP user is not like the more knowledgeable people who read and contribute to this site. There are a lot of people out there happy to act like sheep and just do whatever the medical professionals tell them without ever trying to think about it. When I talk to real world acquaintances about CPAP, they couldn't be more clueless about their equipment. archangle,(time=1316136106) Wrote: There are a lot of people out there with real MD degrees, residency, years of clinical experience in sleep disorders, specialist training, etc. who don't know much about making CPAP work. This is SO SO true. My mother goes to a sleep doctor who is completely clueless on 90 % of the stuff that is common knowledge here on this forum. Amazing that he is a trained sleep doctor!!! kongjie Wrote: I have to agree with the general tenor of posts noting the absurdity of putting obstacles between patients and machine adjustments, and easy data collection. For me the trouble starts with my local DME supplier. I really don't know how this place stays in business. It's like one of those businesses that supply the U.S. Army with $10,000 toilets. From their phone tree to their obscure invoices, it's seriously one of the most inefficient places I've ever encountered. If Blue Shield would reimburse Supplier #1 I would use them in a second. My sleep doctor is great but I had a chuckle when I scheduled a follow-up after starting therapy because I was experiencing problems swallowing air. He said we should adjust the pressure downward, but then he had to call in his assistant because he didn't know how to enter the menu on the Resmed S9. That was about a year ago, and in the last couple of weeks I've had the swallowing air issue again. I put up with it as best I could, thinking it was a hiccup (pun intended), but as my sleep has degraded significantly I thought I would figure out how to lower the pressure on the machine. So I found your boards and now I can do it. But it gets better. If I'm correct, the standard patient view doesn't even show the pressure settings, right? Not sure about that. Anyway, I entered the clinician setup menu, and my pressure was at the original setting--the setting before the doctor made the adjustment. My only guess about what happened is that we had a light blow out and it tripped the fuse, and the Resmed was on that circuit. I don't know why it would change to the original setting as opposed to some other default. So no wonder I've been having problems! Thanks to this board I can now simply change the machine to my adjusted and doctor-approved setting without having to make an appointment, taking time off from work, etc. So, post-Thanksgiving, thanks! SandyBottom Wrote: I came to this site because, after having a return of symptoms, I had a new titration study. I had a hell of a time getting the new pressures from the sleep center and it was going to be almost three weeks before my 7 y/o machine could be adjusted. I found out how to put the new pressures in the settings of my machine here just as a RT would do. It took less than 1 minute to do and I consider it as a good thing to start the new pressures now instead of waiting of the DME RT to change the settings. I am now using my VPAP under the new script and doing better after one week. Thank heavens and this web site, I did not have to wait 3 weeks for the DME RT to reset my machine. Three cheers for Apnea Board!! SuperSleeper,(time=1316109068) Wrote: Bumping this thread for some of our newer members. if any post ever qualified for a sticky to stay near the top, this would be it. some way or other, this post should be pointed out as a read this first post. Just got this email from the manager of a sleep center who read our CPAP Clinician Setup Manuals Page and objects to us giving out CPAP Clinician Setup Manuals or instructions on how to change CPAP pressures. I invited him to the forum to discuss his concerns if he so wishes. I also decided to share the email with the group here, as it's similar subject matter as that contained in this thread. Quote: I wanted to express a concern to your web posting regarding adjusting your own CPAP pressure settings. I am a strong believer in your comment “you are your own best primary care provider”. Although I am very much against your posting of this information, I do not intend to convince you to remove this information, nor do I believe you would considering the tone of your writing. However, I would hope that you may include a small piece of information regarding patients taking this into their own hands. Increasing your pressure settings even just 1 to 3 cwp (settings) can induce central sleep apnea. This can be as harmful and more harmful than obstructive sleep apnea at which point your CPAP is counterproductive. I’m assuming you have a general understanding these two types of apneas considering the content of your website. Excessive pressure can do multiple things to inhibit the persons normal respirations and induce central apnea. Central apneas increase the CO2 levels within the blood. Simply put, the brain attempts to adjust for this and tells the person to stop breathing for these CO2 levels to lower causing more central apneas (pauses in breathing where the body is no longer attempting to breath). About two years ago a husband and wife came through the clinic in poor shape. They had both been using CPAP for years and had learned to adjust their own settings. As they adjusted to the pressure settings they felt they needed higher and higher pressures as they were not feeling rested (the reason they received their machines in the first place). So obviously in their minds, they needed more pressure to stop the sleep apnea. The only reason we had them back in the clinic is that the husband had congestive heart failure (for the second time) all the while faithfully using his cpap. He was referred for another sleep study by the cardiologist. His pressure settings were originally set at 10. He had slowly increased his own pressure to 16. Upon titration in the lab the patient had induced central apneas (machine caused apneas) at 12 cwp. The patient had been using the CPAP for 4 years on settings >12 and had severely affected his own health due to a lack of understanding sleep apnea. There is no doubt in my mind that he caused factors that lead to his heart failure. You compare the CPAP settings to a volume setting that you should have control over. It’s not quite that simple, and this comparison shows the level of ignorance to the understanding of the CPAP Rx. Turning up your pressure is like overdosing on hydrocodone. Both can lead to central sleep apnea and even death in your sleep. I am grateful that you include recommendation for people to consult with a specialist first, but upon consulting with the specialist, the DME will adjust this pressure for free… no charge… why then put yourself at risk when there is so much more to the science than turning up the “volume” on your device. The people who adjust the settings themselves often adjust the wrong settings anyway and return to the DME or clinic stating their machine doesn’t work correctly. There are many settings on today’s devices. With the free help of the DME once you’ve already purchased your machine, they can adjust the comfort settings for you and adjust prescription changes as well. Although you may be empowering people, the better way to empower them is to notify them of the importance of addressing concerns with their CPAP machine and mask with their physician. Modems are available to monitor patients respirations from home and MDs can even prescribe higher pressures using these devices without the patient ever needing to come in for consult or additional testing. Modems are available through the DME generally at the expense of the DME provider. If nothing else, Please include information of the dangers of making these adjustments yourself. Wherever they learned to adjust their pressures, they did not learn how to do so. That's the intense difference between this site and others. We encourage taking control over our own health care while at the same time, encouraging common sense. Then, to feel awful for FOUR years and never consult or tell your doc what you are doing? That's no fault of whoever gave them the clinician manual. That's their own fault. When we take control of our own health care, we take responsibility for it as well. (04-17-2012, 02:19 PM)PaulaO2 Wrote: ....That's the intense difference between this site and others. We encourage taking control over our own health care while at the same time, encouraging common sense. Does anyone else wonder why it is the medical profession, broadly speaking, which is so opposed to us, the great unwashed, knowing what they are doing? Or what we need? No other profession or business has the public feeling in such great awe of their work. Is anyone else reminded of Toto pulling the curtain back on the Great and Wonderful Oz? While the medical techs and related providers (some of whom obviously post or write to this forum) lack the knowledge, education and training of medical doctors, it seems that because of that very fact and their own limitations, they worship the doctor figure as a diety, and stand spellbound at the altar of Medicine. And they consequently appear to believe that ONLY a doctor (frequently their "own") has the great knowledge and training necessary to diagnose a disease, course of action, anything - even a hang-nail. You, having a hang-nail and a pair of scissors, are FOOLISH and IGNORANT if you even THINK about, much less CHOOSE, to remove the offending part. After all, you could CUT YOURSELF, FAIL to STERILIZE your equipment and thereby cause an INFECTION, not properly put on the necessary BAND-AID (as all medical treatments require at least a band-aid), and most importantly, FAIL TO DETERMINE THE POSSIBLE FUTURE EFFECTS OF YOUR ACTIONS. These are what I deem "the True Believers". I acknowledge that there are also many ignorant people, all filled with wondrous self-interest, and seemingly incapable of doing more than putting on their clothes while simulataneously trying to figure out how to get money from others - for an unrelated example, see Congress. :grin: Many of these, even some knowledgeable and caring ones not fitting that description, seem to find their way into the medical periphery, where they expound on the wonders of medicine as purchased/rented/used/consumed through their store/company/spa/doctor. Once again, the curtain needs to be pulled back and the public must recognize the inherent self-interest and actual lack of knowledge of what they espouse. The passion which so many of these individuals profess to have is actually not about your well-being, but about theirs - the possible loss of income as well as their self-conceived "standing" with their peers, should you find out that you can pull the levers as well as they - or their doctor. And for the "True Believers", their motivation to inform you of your ignorance takes on the same passion as those of a religious zealot. The "Doctor" simply supplants God. I recognize not all fall into the categories I have described - but unfortunately, too many do. And I have not even begun my tirade with respect to the doctors who also feel the god-complex, and/or those who seem to feel that patients are simply entities with which they have to unfortunately deal. and who, instead of describing something in medical terms as an "idiopathic so-and-so", instead tell you it is something unknown to medicine. (if unsure of term, see here). In other words, people who know they don't know it all, who are fully qualified to find out the initially unknown information where humanly possible, and who don't believe their patients are merely mindless sources of money. People whom I can and do respect. People smart, capable and considerate enough who can and do spend the time to explain what you want to know in terms you can understand. And for these types of physicians, I do say "Thank God!" Thus endeth today's tirade regarding the idiots who believe they know better than you, who choose to enter your world to let you know how ignorant you are, and who may actually believe they are qualified to give the advice they do. Amen! To paraphrase from the song "Desert Pete" by the Kingston Trio, many years ago, "I thank the Lord, I thank SS, and I thank this forum's participants". Breathing keeps you alive. And PAP helps keep you breathing! And not all DMEs will change pressure for free. Some member not that long ago said his DME charged him $25 to test it on a manometer. All I would say to Ken is that he should actually read this forum instead of assuming that there have been no discussions of central apneas ["pauses in breathing where the body is no longer attempting to breath" as Ken put it ]. "Goodnight Chesty wherever you are!"